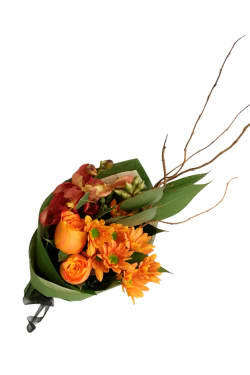 Each month we pair a charity with one of our popular and beautiful arrangements. At the end of the month we tally up the number of charity arrangements sold, and pass on a portion of the total to that months charity. 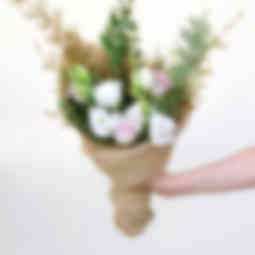 We're partnering with local Sydney (and beyond) charities to make sure that flowers are the gift that keeps on giving. 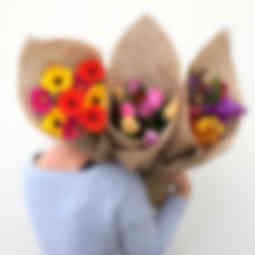 Every day we send out bouquets that bring happiness to recipient and sender alike. But by partnering with community charities, we're able to spread the happiness even further. Flowers Across Sydney is joining a growing list of socially responsible companies that not only create great products, but products that benefit the community at large. 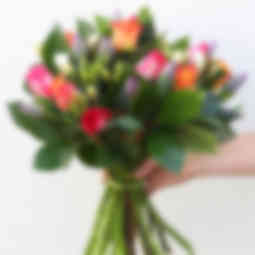 By purchasing our monthly charity bouquet you're helping us give back to the community. 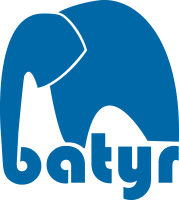 Batyr is a for purpose preventative mental health organisation, created and driven by young people, for young people. We give a voice to the elephant in the room by smashing the stigma around mental ill-health and empowering young people to reach out for support. We help create communities that support young people’s mental health and wellbeing. Our vision is that all young people are engaged in positive conversations about mental health and empowered to reach out for support when needed. 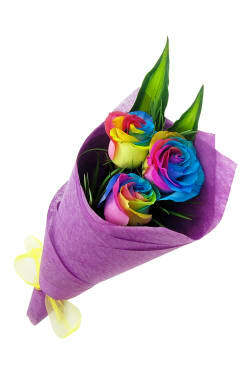 Purchase these incredible colourful rainbow roses knowing that 10% of proceeds are going to the amazing team at Batyr as they help create communities that support young people’s mental health and wellbeing. Cat Protection began in 1958, as a small group of people dedicated to reducing the number of stray cats by desexing and finding loving and responsible homes for street cats. Today our vision remains the same – that every cat has a loving and responsible home. Because every cat deserves a loving and responsible home. Send these golden beauties to brighten someones day or to let them know you're thinking of them while knowing that 10% will be going to Cat Protection Society of NSW and their amazing team as they help our furry feline friends. Women’s and Girls’ Emergency Centre (WAGEC) is a not-for-profit charity based in Redfern, NSW and has been operating for 40 years. We provide enriching activities for children and young people that help to address the impact of adverse childhood experiences. In alliance with our partners, we are committed to helping end homelessness by working holistically with our clients to find creative housing and support solutions that meet their needs and empower them to take control of their own lives. Specialist homelessness service for women and families escaping domestic violence. Love is in the air!! 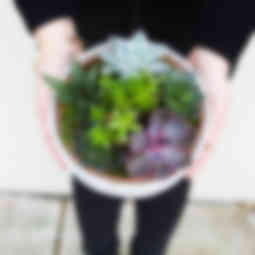 Help us share the love by sending this beautiful box arrangement to someone you love this February. 10% of each "Painted Lady' arrangement will go towards assisting WAGEX clients and their families as they recover and rebuild their lives. Odyssey House NSW is one of Australia’s largest and most successful rehabilitation services; over the past 40 years we have helped more than 35,000 people turn their lives around. We offer residential services and community services across the whole of Sydney, including mental health programs, counselling and family support. We have a holistic treatment model that focuses on the underlying reasons for addiction. Iris' represent faith, hope, wisdom, courage, and admiration. With striking uniqueness and beauty, irises have rich meanings, and when given as gifts, they can convey deep sentiments. Send one of our stunning bouquets of Iris' to someone knowing that 10% go to Odyssey House NSW as they work towards a world free of addiction. Youngcare is a not-for-profit organisation creating choice and independence for young people with high care needs by providing fully accessible and age-appropriate living spaces, grants for equipment and home modifications and support through a national phone line. Suitable and appropriate supported housing is one of the greatest areas of unmet need for people with disabilities in Australia. Young care is boldly tackling this national issue by acting as the conduit for industry, government and community to work together to bring much-needed change to the disability sector. Peonies are only available for a brief season but are an extraordinary flower. 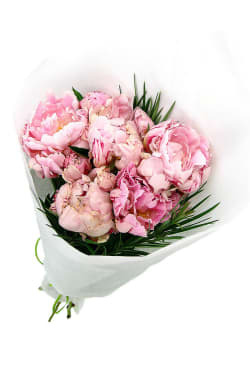 Treat yourself or someone you love with our stunning Peonies knowing that 10% of proceeds go to Youngcare as they help provide our incredible youth with the freedom and choice to live the lives they deserve. Lou’s Place is the only daytime refuge for women in Sydney. We're a unique, community-based refuge for women in crisis, homeless, feeling isolated or needing support. ​ Women can come to our terrace house in Kings Cross to rest, eat, shower, wash clothes and enjoy some company. Lou’s Place also offers critical frontline services for women confronting the issues of: homelessness, domestic violence, mental health and addiction. ​ Lou's Place is a private charity with no on-going government funding. We rely on the generous support of our friends, partners and volunteers to continue our services. Our mission is to provide a safe and welcoming place for women, meeting them at their point of need and supporting them in rebuilding their lives. 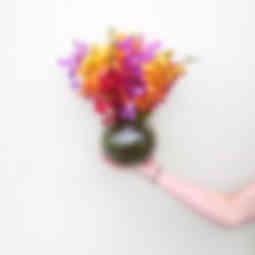 Help Support LOU'S PLACE by sending this "Ever So Pretty" bouquet to your loved one. 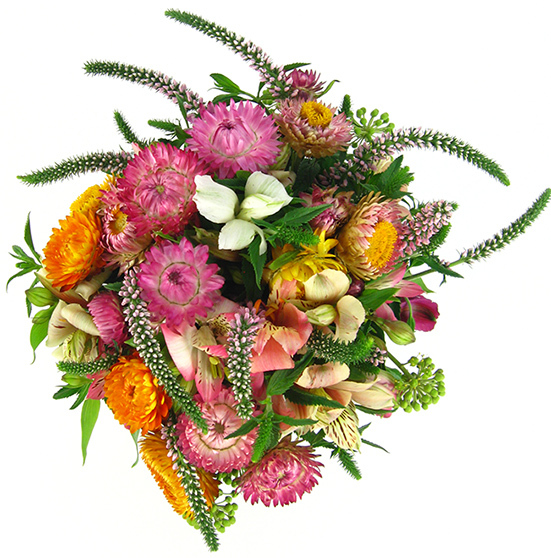 Displaying a wonderful variety of colours and textures thanks to the beauty of its chrysanthemum, orchid and lisianthus blooms, as well a hint of Geraldton wax be sure to make them feel extra special. Sanctuary Housing is established to be a charity operating a refuge for homeless women suffering hardship through escaping a domestic violence. We assist during a time of crisis in relieveing these women and their childrens immediate distress and needs due to their loss of home. All essentials such as food and meals as well other essential grocery items to these homeless women who cant afford to buy basic food and groceries for themselves are provided. As well as clothing and toiletries and access to case management and counselling services. Perfect for the happiest of occasions or ones where a little cheer could do, 10% of all our sparkling Sweet Sangria bouquets sold in October will go to Sanctuary Housing and all their amazing work they provide to the community. The extraordinarily colours in this vibrant bouquet is sure to lift the spirits and brighten the day of your very special recipient! The accepting, loving nature of dogs give this program its magic and helps children relax, open up, try harder and have fun while reading to a friendly, calm dog. 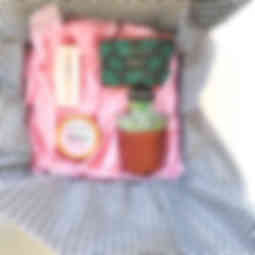 To make reading fun for children, so they become confident lifelong readers. Help support Story Dogs by sending these bright colourful Gerberas to share in a happy moment with loved ones and friends. 10% of all Gerbera bunches sold during the Month of September will go to help the team at Story Dogs and their amazing work. Our vision is to build a strong resilient community which values and includes each member. We are a locally focussed community based Organisation which has delivered services and built capacity in the Canterbury Bankstown and Inner West areas of Sydney since 1972. We connect individuals and communities to develop and provide services responsive to community needs and individual choice; we promote harmony, social inclusion and an improved quality of life; and we build capacity, sustainability and resilience. 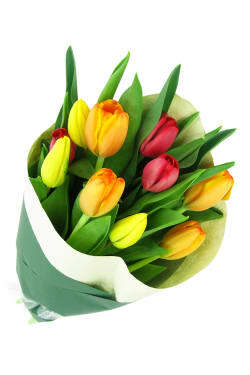 Tulips make a wonderful gift for any occasion! 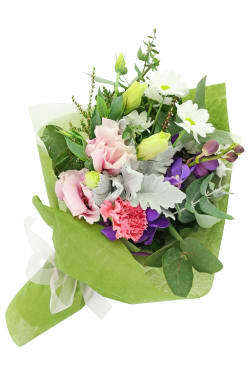 Send someone you know this beautiful bouquet knowing that 10% of funds will be going to the Canterbury City Community Centre and their Emergency Relief Program. Youth Off The Streets’ vision is that we are well planned and balanced to meet the needs of all our stakeholders and in doing so we are focused on outcomes, community and sustainability. This month each Wildflower Posy Box will have 10% of proceeds go directly to Youth Off the Streets to help young people discover greatness within. Showcasing a variety of Native Australian Flowers and Greenery, our Wildflower Posy Box is the perfect gift for any occasion! Money is raised through donations from participating motorcar drivers, motorbike participants and event attendees, with 100% of the funds raised going towards Special Olympics Australia so that they can continue to create an arena for athletes to exercise, have fun and make life-long friends. To give over 500 people with an intellectual disability a Dream Ride in a luxury car around the iconic racetrack at Sydney Motorsport Park and raise much needed funds for Special Olympics Australia. Send these golden beauties to cure someone's wintertime blues or to let them know you're thinking of them fondly while knowing that 10% will be going to the team of SOAR & ROAR Festival. Our small and dedicated team are passionate about working with the CF Community and collaborating with like minded cystic fibrosis organisations around the world to achieve the best outcomes for people with CF, their family and carers. 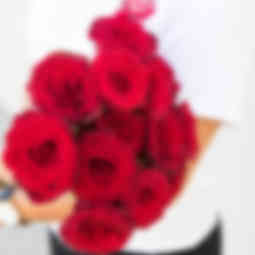 Send someone these 6 premium roses bursting with colour knowing that 10% will be going to the sensational team at Cystic Fibrosis Australia and their vital research. 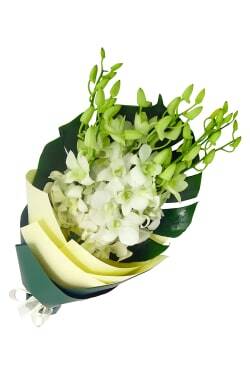 This bouquet is perfect for Birthdays, Get Wells, New Babies or any gift occasion! 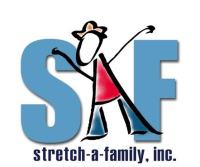 Stretch A Family provides therapeutic Out Of Home Care (OOHC) services for children and young people in New South Wales. Perfect for the happiest of occasions or ones where a little cheer could do, 10% of all our sparkling Sweet Sangria bouquets sold in April will go to Streth-A-Family and all their amazing work with Sydneys children and young people. The extraordinarily colours in this vibrant bouquet is sure to lift the spirits and brighten the day of your very special recipient! We work with people of all ages on the autism spectrum, delivering evidence-informed solutions that are person-centred, family-focused and customer driven. Our belief is that all children have the right to grow up and by investing today we will save the lives of children in the future. Our mission is that all children with all types of neuroblastoma survive and lead a long, healthy life, free from the side effects of their treatment. Currently, 50% of children diagnosed with aggressive neuroblastoma will not survive. A third of the survivors will have long term side effects from their actual treatments. Love is in the air!! Help us share the love by sending this Pretty and delicious Gerbera Chocolate box to someone you love this February. 10% of each Gerbera Chocolate box will go to help the Neuroblastoma Australia team as they find ways to make treatments more targeted, more effective and less. To be in the corner of every young person when cancer’s crashes into their lives. 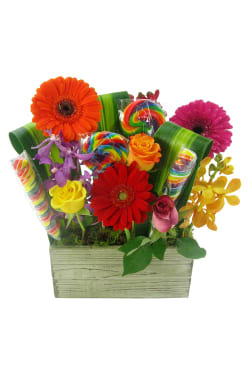 It just takes our sweet Thoughts of You bouquet to let someone special know that you’re sending love and light their way! 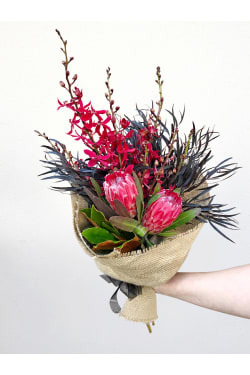 Treat someone you know to this classic yet exotic arrangement this January, knowing that 10% is going to help the amazing Teens and team at CanTEEN Australia - I'll take 3 please! In partnership with schools, the Peer Support Program has been leading the way in student wellbeing for more than 30 years. The Peer Support Program is an education program designed to empower students to act as mentors to their peers, passing on skills and strategies to establish and maintain positive relationships. Students flourish in positive educational environments and the Peer Support Program has been proven to contribute to a positive whole-school culture. It gives students a sense of purpose through empowering young people to support each other and contribute positively to their learning. The mission of Peer Support Australia provides school communities with an evidence based, peer led approach to enhance the mental, social and emotional wellbeing of young people enabling them to make informed and skilled contributions to their communities. 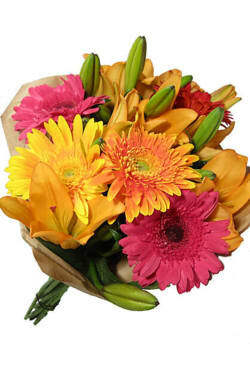 Treat someone you know to this amazing fun bright bouquet, with colourful Gerbera's and stunning L.A Lillies this is the perfect arrangement for anyone needing some fun and colour. Remember 10% of proceeds will go to the amazing people Peer Support Australia that help empower students. 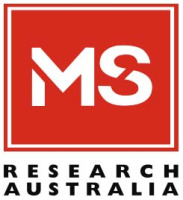 MS Research Australia is a small team of dedicated individuals responsible for all aspects of the operations, ensuring overheads are low so that more of the fundraised dollar can be directed straight to the best MS research projects. MS Research Australia was awarded 2017 Telstra Australian Charity of the Year and 2017 Outstanding Achievement Award in the Australian Charity Awards. MS Research Australia is the largest national not-for-profit organisation dedicated to funding and coordinating multiple sclerosis research in Australia, as part of the worldwide effort to solve MS. Its goal is to accelerate research: into the cause, better treatments and prevention, with the aim of ultimately finding a cure for MS. Throughout November, 10% of sales of our All Allure bouquets will go towards the inspiring work done by MS Research Australia. 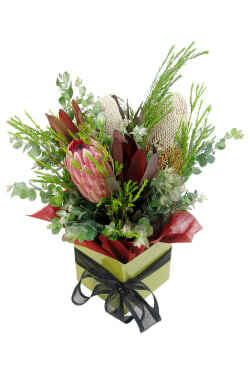 Send this exotic collection of striking spider orchids and unique protea blossoms, with captivating accents of After Dark and magnolia foliage to someone special and help kiss goodbye to MS.
Arthritis & Osteoporosis NSW is a trusted source of support, services and evidence-based information for people living with arthritis, osteoporosis and related musculoskeletal conditions. The vision we are working towards is ‘Freedom from Arthritis’. To empower people of all ages to manage their health & condition, helping them achieve their personal meaning of ‘Freedom from Arthritis’ in their own lives. 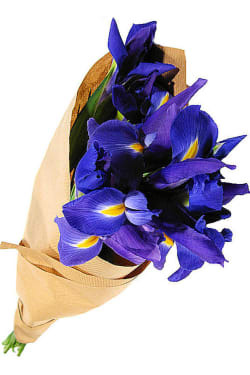 Iris is a popular selection for bouquets because of its uniqueness and beautiful bold colour! Send this gorgeous arrangement to someone special and contribute to the important work undertaken by Arthritis & Osteoporosis NSW this October. The purpose of Campbelltown Meals on Wheels is to provide a Food, Shopping, Library Service to maintain frail aged and people with disabilities, who are at risk of premature or inappropriate institutionalisation, in their own homes. Meals on Wheels support and enhance the independence of the aged, younger people with disabilities and their carers by providing nutritious meals which enables them to remain in their homes. 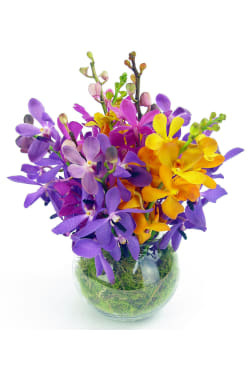 The epitome of exotic beauty, our bouquet of Orchids will contribute towards the incredibly important services provided by the amazing people at Campbelltown Meals on Wheels. These Orchids are sure to make a truly stunning gift or centrepiece and inspire awe wherever their magnificence is displayed. Animal Liberation’s primary work is conducting research and providing information about animal suffering in Australia. Fighting for all non-human animals until they are able to live lives of their choosing, free from intervention, use and abuse by humans. 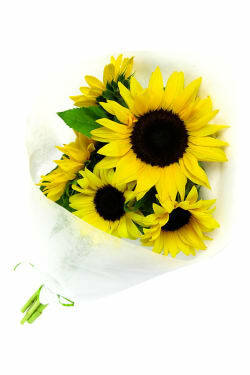 Throughout August, 10% of sales of our Sunflower bunches will go towards the inspiring work done by Animal Liberation. 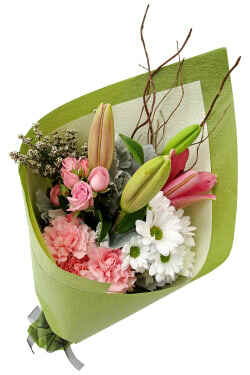 Send this cheery bunch of flowers to someone special and contribute to Animal Liberation's fight for animal rights. Royal Far West provide critical health and developmental services to children living remotely in rural NSW. To improve the health and wellbeing of children and young people who live in rural and remote communities. This July, 10% of proceeds from our Wild Flower Posy Box will contribute towards the incredibly important services provided by Royal Far West. Parramatta Mission provides meals, accommodation and mental health services across Greater Western Sydney, with almost 500 staff and many volunteers delivering more than 70 services. To transform lives by building resilience and capacity in members of our community subject to mental illness and homelessness. This June, 10% of proceeds from our Lilies and Iris bouquets will go towards supporting the programs run by Parramatta Mission. Our Lilies and Iris are a popular combination available in several different colours lilies. Sydney Homeless Connect works for the wellbeing, survival, and protection of people who are experiencing homelessness in Sydney by connecting them with service providers and a supportive community. 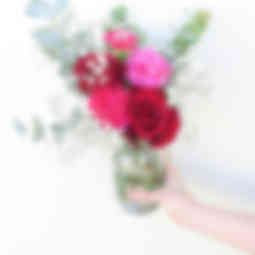 This May, 10% of proceeds from the This Special Moment arrangement will go towards supporting the inspiring work done by Sydney Homeless Connect. On World Parkinson's Day, Shake It Up Australia are asking Australians to stop, pause and give a voice to those affected by Parkinson’s, through their Pause 4 Parkinson’s campaign. The campaign’s aim is to raise awareness and much needed funding for their research. Promoting and funding Parkinson’s disease research in Australia, aimed at better treatments and ultimately a cure. This April, 10% of all sales of our Sweet Sophistication arrangement will go towards the fantastic Pause 4 Parkinson's campaign. 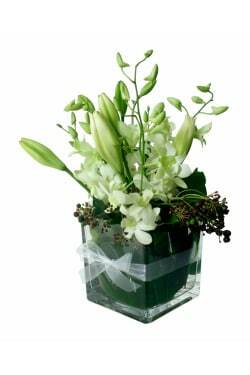 Send this gorgeous vase arrangement to someone special and contribute to the important research work undertaken by Shake It Up Australia. 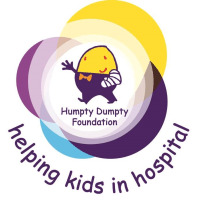 Children's Charity Humpty Dumpty Foundation enables Hospitals and Health Services Staff to make a huge difference to children’s lives, by purchasing essential medical equipment in over 250 Hospitals Australia wide. Empowering Hospitals and Medical staff to make an immediate, tangible difference to children in life changing situations. This March, 10% of proceeds from our Sweet Smiles arrangement will go towards children’s charity Humpty Dumpty Foundation. We have paired our vibrantly coloured, cheery arrangement with this charity as we believe it celebrates the amazing, positive way in which they are enhancing children’s lives. Can Assist is a grass roots, community based charity dedicated solely to supporting country NSW people and their families affected by cancer. Due to travel and accommodation expenses, it can easily cost a country family affected by cancer up to five times more than a city family just to access treatment. The reality is that many country mums and dads simply can't afford treatment, let alone the weeks spent away from their family work. Our Mission is to assist country families affected by cancer by providing accommodation and practical support while building community based volunteer networks and raising awareness of inequities facing country people. 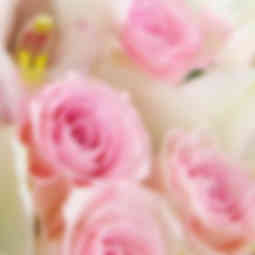 This February, 10% of proceeds from our Just Roses Bouquets will go towards Can Assist. We have selected our Just Roses as they are available in a great mix of colours and perfect for sending to someone special this February. Maggie's Rescue is a registered animal welfare charity, a co-operative of carers that open their homes for animals until they can find their permanent homes. They are committed to a No Kill philosophy and they believe that community education and advocacy for desexing is the foundation for this. This January, 10% of all sales from our Gerbera bouquets will go towards the fantastic Maggie's Rescue, saving local dogs and cats. Young people who come to Youth Off The Streets leave prepared for a brighter future. Youth Off The Streets focuses on the immediate needs of a young person through its services and programs. This December, 10% of all sales from our Lily bunches will go towards the fantastic programs run by Youth Off The Streets. 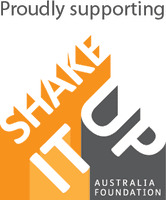 Shake It Up foundation is a not-for-profit organisation established in 2011 and in partnership with The Michael J. Fox Foundation promotes and funds Parkinson’s disease research in Australia aimed at better treatments and ultimately the cure. 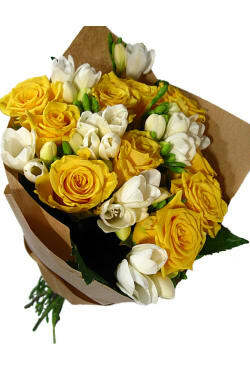 10% of Roses and Freesias Bouquet sales during November will go towards Shake It Up. Send this gorgeous bunch of flowers to someone special and contribute to important research work undertaken by Shake It Up Australia. Just when life should be full of possibilities, cancer crashes into a young person’s world and shatters everything. CanTeen is there to support them, and helps by providing young people the opportunity to explore and deal with their feelings about cancer, connect with other young people in the same boat and if they’ve been diagnosed themselves, they also provide specialist, youth-specific treatment teams. To optimise the health and wellbeing of all young people living with cancer. 10% of Orchid Fishbowl sales during October will go towards National Bandanna Day, CanTeen’s largest awareness campaign where the funds raised will help make sure no young person goes through cancer alone. Starlight Children's Foundation helps sick kids simply be kids by turning pain, fear and stress into fun, joy and laughter. 10% of sunflower sales during September will go towards the Starlight Children's Foundation. We have paired our bright, cheerful sunflowers with the Starlight Children's Foundation as we think they represent the excellent work they do brightening up the lives of sick children, teenagers and their families in Australia. 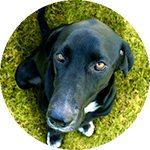 The Black Dog Institute is a not-for profit and an internationally recognised pioneer in the identification, prevention and treatment of mental illnesses, as well as the promotion of wellbeing. Enabling mentally healthier lives through innovations in science, medicine, education, public policy and knowledge translation. 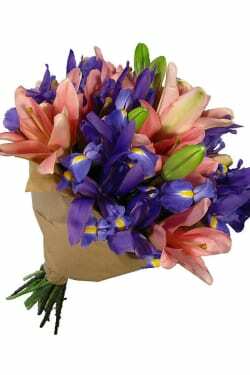 This August, our first ever Charity Givr bunch is our ever popular Lilies and Iris Bouquet. 10% of proceeds from our Lilies and Iris bouquets will go towards the Black Dog Institutes programs. Send this beautiful bunch of lovely Lilies and Iris to someone special and help support the prevention and treatment of mood disorders such as depression and bipolar disorder.